Tablets have taken over as the leading classroom computer. The teaching and learning that takes place in your classroom needs to evolve in order for these resources to be used adequately. The availability of smartphones and tablets has changed the way your students access information. Students can now access resources at the tap of their finger. This dramatic change in the way students’ access information, has to led to changes in the way they need to be taught. You need to learn how to incorporate these new mobile technologies into your classroom. 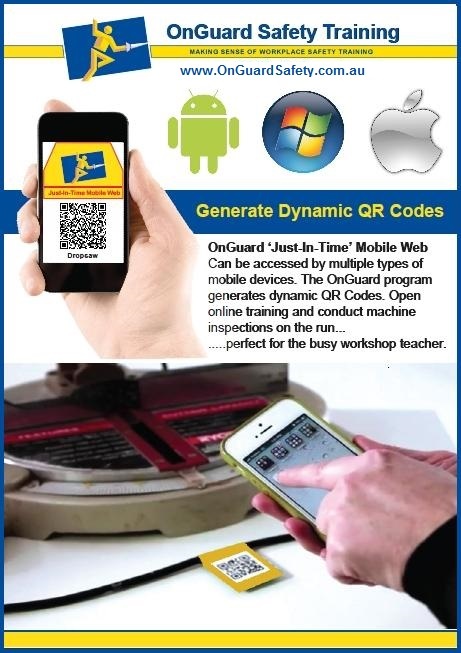 OnGuard Safety now offers a new application - 'Just-In-Time' Mobile Web - that will assist workshop teachers to introduce mobile devices into their teaching and learning programs.